This film is based on a true story about a British teenager who allegedly poisoned family, friends, and co-workers. Graham is highly intelligent, but completely amoral. He becomes interested in science, especially chemistry, and begins to read avidly. Something of a social misfit, he is fascinated by morbid subjects such as poisons and murder. His family environment is intolerable to him and, in particular, his stepmother torments him. He decides to poison those who annoy him, first with antimony and later with thallium. He smugly thinks himself cleverer than all those around him, but nevertheless he is caught and sentenced to 'rehabilitation' at a psychiatric institution. Once there, he undertakes to deceive the new eminent psychiatrist sent there to 'cure' him, thereby securing his release. 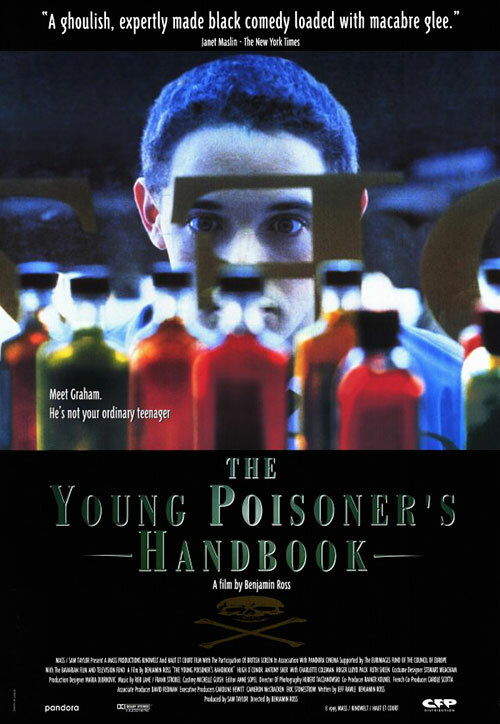 0 Response to "The Young Poisoner's Handbook (1995) Benjamin Ross"